Peter (Travis Owens) is an aspiring comedian encouraged by his friend Ben (Ben Price, Australia’s Got Talent finalist) to perform at the local comedy club. But stage fright isn’t Peter’s only fear. When confronted with one of today’s most divisive issues, he feels compelled to speak, but can he? Challenged by his coworker Diana (Molly Ritter) to defend his convictions about homosexuality and gay marriage, will he have the courage to stand for what he believes—even at the risk of losing a friendship? And how will he respond when faced with a harrowing life-or-death experience? 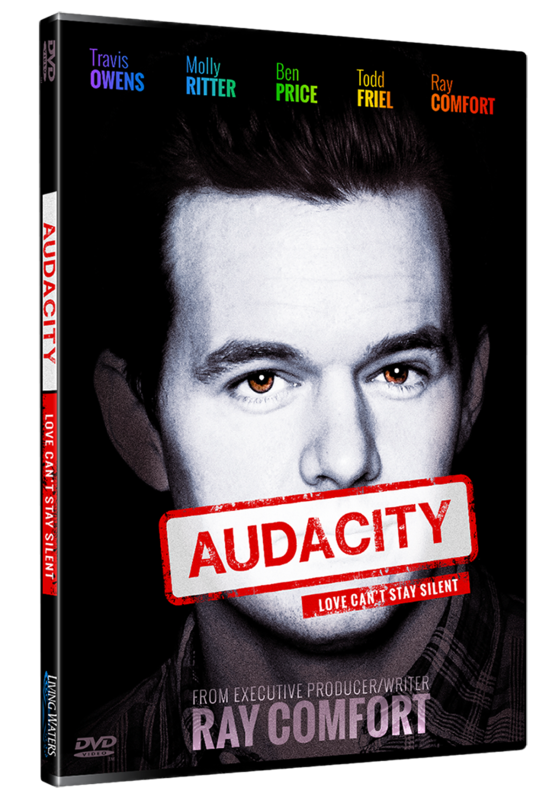 “Audacity” uses a unique approach to address a very sensitive subject in contemporary society. Regardless of your views on homosexuality, you’ll gain fresh insights and a new perspective.